Give Us 12 Weeks… 90 Days… And We’ll Give You A New, Healthy, Terrific Looking Body That Gets Noticed And Makes You Proud! The truth is, there are few things that compare to the way you feel… the sense of accomplishment, pride and confidence you get from having a body that looks great… in clothes, your bathing suit–even your birthday suit! Look, no matter what your current shape, we absolutely guarantee if you just show up, you’ll GET the results you want and that new, lean, toned and terrific looking body you deserve. That’s it – just show up. We’ll do the rest. Be the person you most want to be… by getting the body you most want to have. Changing your body…changes your life: We see it here at HIPERFIT personal training all the time, and we’ve got the testimonials from other Miami Beach personal training clients just like you to prove it (see below). Our proprietary and unique “THEHIPERFIT METHOD” gives you maximum results in minimum–30 minutes–time! This is how we “dial-in” your personalized program, optimizing it as we move forward. This is such a big piece of the puzzle (truly a fitness ‘secret’ that so few are aware of), and something that simply cannot be done without a trained eye and years of experience in the personal training game. This is the only way to achieve maximum results in minimum time. But getting the body you want won’t be a ‘walk in the park.’ Nothing of lasting value is ever that easy. And you know that. If you’ve been seduced by the ‘amazing claims’ made by weight loss companies or fitness gadget promoters…if you’ve tried personal training and struggled before…then you know what I’m talking about. The most important point I want to make right here and now is this: you can have the body and life you most want…but it takes commitment and consistent effort for 12 weeks (after that, things do actually get much easier). For the vast majority of people (over 85%), a 12-week commitment to 3-5 effective workouts a week and supportive, healthy eating is almost impossible without external support, coaching and accountability. That’s why there’s an explosion of obesity, diabetes and heart disease in this country. And the victims of these diseases are getting younger all the time (childhood obesity is practically epidemic). And that’s exactly why so many of your Miami Beach neighbors come to us…they know they can’t (or won’t) do it alone. That’s the bottom line. Are you willing to invest in your own quality of life? Are you worth it? Think of it this way…if your child was overweight and out of shape, if his confidence and self-esteem were being negatively impacted, you would do almost anything to help him, right? Same goes for your spouse. But what about YOU? Are you willing to invest in you? In your quality of life, your confidence, your self-esteem, your health…your best body? If so, then I encourage you to request your no-obligation, complimentary consultation right now. You might have asked this to yourself before… “how am I going to ever lose fat, tone my body, and feel sexier and happier about my body without doing an excessive amount of work or getting injured”? Simple…We DO NOT use generic fitness routines. We DO NOT just stand around with a clip board or check out ourselves in the mirror all day… We DELIVER results. Hi, My name is Jordan Biamonte. I am a certified personal trainer and one of the owners of Hiperfit Personal Training in Miami Beach, Florida. I’ve been involved in the fitness industry since 1994, hooked ever since I first hit the weights as a youth training as a downhill ski racer. I competed in both NCAA and USSA apline ski racing events. This progressed to a stint as a strength coach for junior top level ski racers. I have now been training clients for more than 15 years, certified by the American Council of Exercise (A.C.E.). My most recent TV appearances were Hogan Knows Best reality show as a trainer to Hulk Hogans’s family, and for 2013 Les Anges De La Telerealite (#1 French Reality Show) as the “South Beach Celebrity Trainer”. I am currently competing in Men’s Physique, and training bikini, figure, and physique competitors for fitness competitions. My business partner is Jeff Seidman, founder of HIPERFIT. Jeff has been a leader in the fitness industry for over 20 years. Jeff was the first EAS “Body for Life” champion . Since then, Jeff starred in the “Body of Work” and “Body for Life” documentaries and has been featured on television, radio and in the most popular fitness magazines. Jeff developed the HIPERFIT training systems using our training facilities as a laboratory, applying the latest in research to develop the most effective training system in the market today. Hiperfit is a leader in the personal training field, offering high intensity interval training ( now well known as HIIT) a good 10 years before the other gyms like Crossfit or Orange Theory even existed! My other business partner is my wife, Team Hiperfit Figure Pro Vanessa Reggiardo. Vanessa came to USA from Peru where she was a well known fitness model / instructor with a degree in Business Administration. She is now a master trainer and competition prep coach at Hiperfit. Vanessa has been training clients and teaching spinning for over 10 years now, and she has been competing herself for over 5 years in natural fitness competitions. Her passion for fitness and attention to detail is second to none! She is a sponsored Figure Athlete and the creator of @vanereggia_fit Instagram workouts. You’ll never get bored doing the same old routine and your body will quickly respond to my 24/7 Fat Burning methods even without you being aware of it. One week we’ll target one area of your body by doing circuits, the next week we’ll do metabolic training and so on. I’ll constantly choose a different program out of what I call the “Hiperfit Fit Body Toolbox” . The Fit Body Toolbox is my secret to your success to ensure you see results month after month! Fun and diverse rapid-fat-loss training in a private studio. A simple-to-follow nutritional program to maximize your fat loss and body transformation. 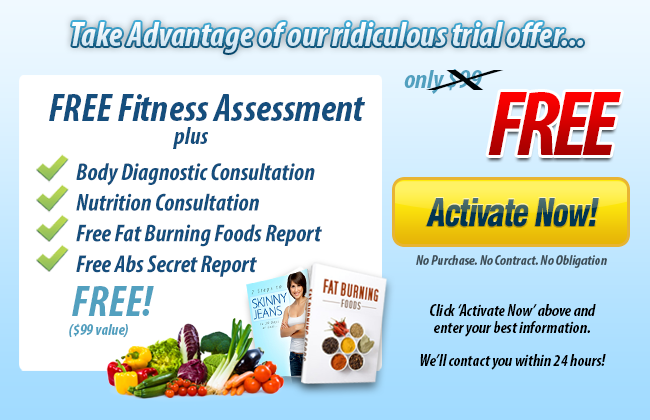 Monthly fitness assessment to keep your weight loss program on track. Unlimited email support, something we think is one of the most important parts of the Hiperfit program. Here’s my personal GUARANTEE to you! The HIPERFIT training team was featured on the hit NBC show “The Biggest Loser“. As his home base training center for the show, HIPERFIT helped finalist Mark Wylie lose 129 pounds!! I began at Hiperfit with some fear about being in a gym and seeming out of place, as well as old and out of shape. Instead I found that the Hiperfit trainers motivate without intimidation, and the fact that it is a private facility erased any fears about my appearance. Two and a half years later, it’s an important part of my everyday routine – and I can’t imagine life without it! With the guidance of my Hiperfit personal trainer Ivan, I’ve lost over 70 pounds, put on lean muscle and significantly improved my strength. Having said that, probably the biggest benefits I’ve seen have been in the improvements to my overall health. Prior to starting at Hiperfit I had little energy, high blood pressure, and persistent low back pain. I knew I had to do something but it was just hard getting started on my own. Today, I’m happy to report that I have more energy, I sleep better, my blood pressure is in the normal range, and my back pain is gone! Ivan’s personal training programs flat out work if you simply follow the routines and most importantly stick with it! Having accountability and support has made all the difference for me. Getting started is the hardest part but once you get into a routine it just becomes part of your life. I actually look forward to my workouts and I’m hooked now. I’m more productive with my work, I feel better, and most importantly I know I’m taking the necessary steps to ensure I’ll be there for my family. After years of running, walking, biking and swimming, I felt I had reached my maximum level of fitness. After speaking with Jeff Seidman 3 years ago, I decided to try his 30 minute high intensity method of training. I have seen my strength and endurance improve dramatically with only 30 minutes of training 4 times a week. I recommend Hiperfit for anyone who wants to improve their over all fitness and health. Just keep in mind that you’re not risking anything by at least investigating. Take that first step and call us today at (305) 674-9899 or Click Here to schedule your no-obligation complimentary consultation. Then come in and we’ll talk. No pressure and nothing to buy. You’ve read this far because you are serious about getting the body and health you want. We are the solution – the ONLY solution that really works. And you’re worth it. Thanks for taking the time to read this letter and watch the transformations of our clients. I know you’re searching for a real solution that really works, and your time is valuable. So I won’t waste a minute of it. The bottom line is that we put our money where our mouth is. We guarantee you’ll get the results you want in the shortest period of time possible. We’ve proven it hundreds of times already with other Miami Beach personal training clients just like you. Now it’s your turn. P.S. We can help you. And we sincerely want to. All you have to do is take the first step by calling us today at (305) 674-9899 or by clicking below. In as little as 90 days you can have a dramatically transformed, new, better body (and all of the wonderful benefits that go along with it). Give us a call today, you’ll look back at this decision as one of the best of your life…I guarantee that.